New Year Concept. 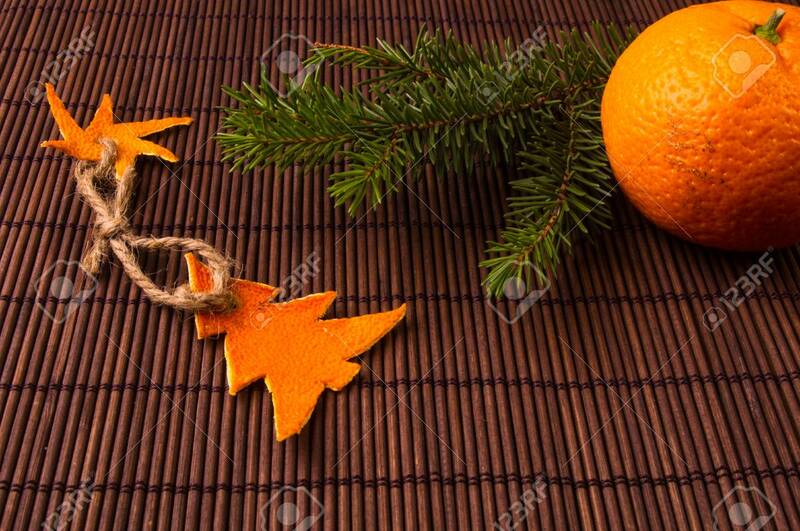 Christmas Decorations Hand Made From Tangerine Peel, Fir-tree Branches And The Fruits Of Mandarin Orange On Bamboo Mat Background Royalty-Vrije Foto, Plaatjes, Beelden En Stock Fotografie. Image 116145885.